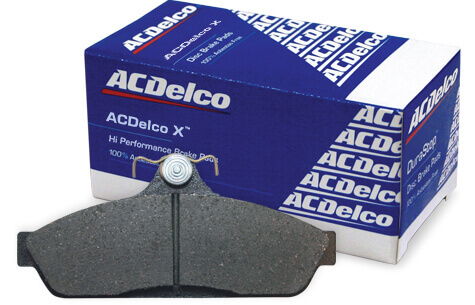 ACDelco High Performance brake pads use a high friction rating pad material that has been tested and proven to provide exceptional stopping performance. They are ideal for performance and heavy duty applications, and provide braking confidence in extreme conditions including emergency stopping and towing applications. Exceptional stopping power giving shorter stopping distances. Significant resistance to brake fade at high temperatures. Also performs well at low speed and low temperature conditions.